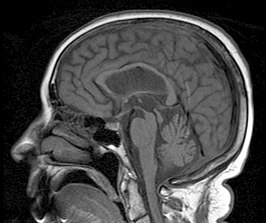 Progressive supranuclear palsy (PSP) is a rare brain desease. PSP literally means a gradually progressive disease with incomplete paralysis that originates from part of the brains; the central brain nuclei. PSP is a rare disorder, which is sómetimes hereditary. One in a thousand people gets the disease. The disease usually begins between the 50th and 80th year of life and increases in severity (progressive). The disorder is characterized by symptoms that also occur in Parkinson's Disease. In addition, the following symptoms may occur. Disturbances in balance, movement, speech and swallowing. Often, by the disease the patient looks down or upwards instead of straight ahead and the speed of walking decreases. The risk of falling increases because the patient cannot move the eyes well. 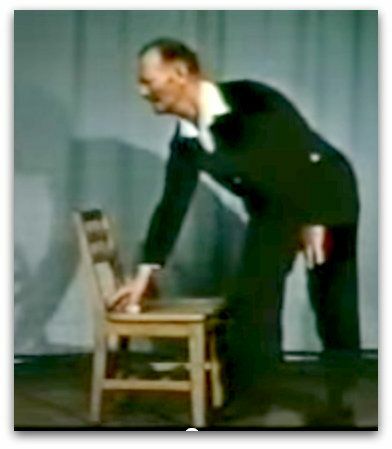 The patient may fall, even from a chair, because he/she is less able to respond to unexpected events by posture defects and rigidity. Swallowing disorders are also common and thus the trouble to eat. The symptoms of PSP occur in both body halves. This is different from Parkinson's disease, which affects the sides of the body to different degrees. Changes in speech and articulation. Fluency is disrupted. It ranges from stuttering to vebal persistance (continue to speak) and making sentences that are difficult to understand. Logical thinking gets poorer; not so much in understanding, but performing thinking and doing sometimes gets disturbed early in the disease. Literacy and numeracy remain well for a long time. Unsteady gait and often fall backward. The falling is not caused by stumbling, but it is due to being less attentive to respond to postural changes. Impaired eye movement; a limited field of vision; no longer be able to look up or down without moving the head and starting to see poorer (vision palsy and ophtalmoloplegie). Stiffness, in particular of neck muscles and long back muscles. This creates an unusual posture completely upright, with uplifted head. Typical posture in case of PSP, head held upright, also reaching for the seat is difficult because the neck cannot be bent downwards. A double-sided failure of the Face and throat muscles, by which burst of laughter or fit of crying may occur (pseudobulbar palsy). Reduced flexibility, stiffness in the longitudinal axis (axial rigidity). The unfamiliarity of the disease causes that it is often not recognized. Often before the correct diagnosis is made, other diagnoses are considered. A characteristic of PSP is shrivelling (atrophy) in the upper part of the brain stem (mesencephalon). The timely provision of the correct diagnosis, even though the desease can not be cured, gives the patient and family members the opportunity to learn to deal with the condition. PSP is often confused with Parkinson's disease or dementia. When brains of persons who suffered from PSP were examined under a microscope, they showed a deviation in the central brain nuclei. There is an accumulation of tau protein. The tau protein is a highly soluble protein that plays an important role in the connections between the brain cells. The normal tau is important to maintain the shape and function of a nerve cell. Also, this protein contributes to the connection of nerve cells. In PSP, and in some other neurological disorders (for example Alzheimer's disease), the tau protein is abnormal and produces tangles of fibers. It is not clear what causes PSP. In very rare cases, a genetic mutation is responsible for the development of the disease. In that case, PSP will occur in more than one person in a family and it is wise to refer to a genetic counselor (Polyclinic Genetics). Drugs with dopamine have very little or no effect on PSP, in contrast to their effect on Parkinson's disease. Occasionally antidepressants may function a little. The symptoms can be treated with physical therapy, occupational therapy, speech therapy or rehabilitation. By this, the complaints can be slightly reduced and the daily tasks can be made easier. Currently, a clinical trial is performed to see if a new medication called davunetide will be useful in treatment of PSP. The researchers do not yet know what the results will be.